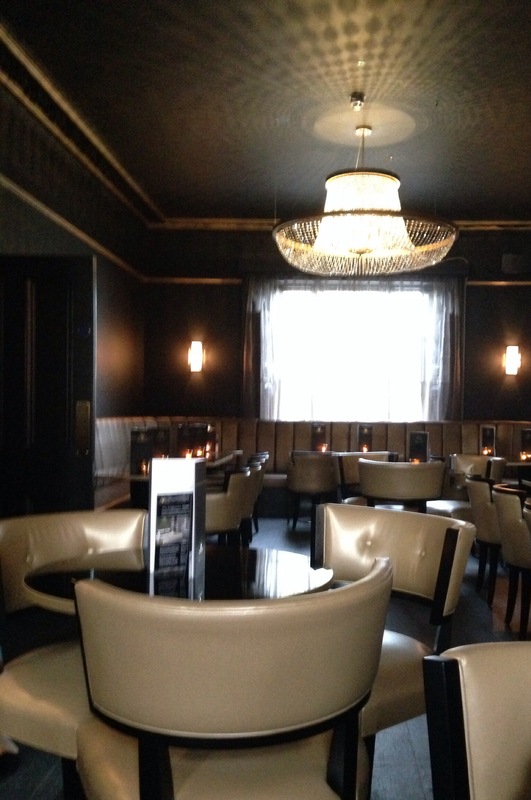 The Edgbaston bar is a bit like your glitzy and glamorous friend that you always want to be around. It is the epitome of sophistication and cool. The Edgbaston is the sister bar and boutique hotel of The Kenilworth in Kenilworth. 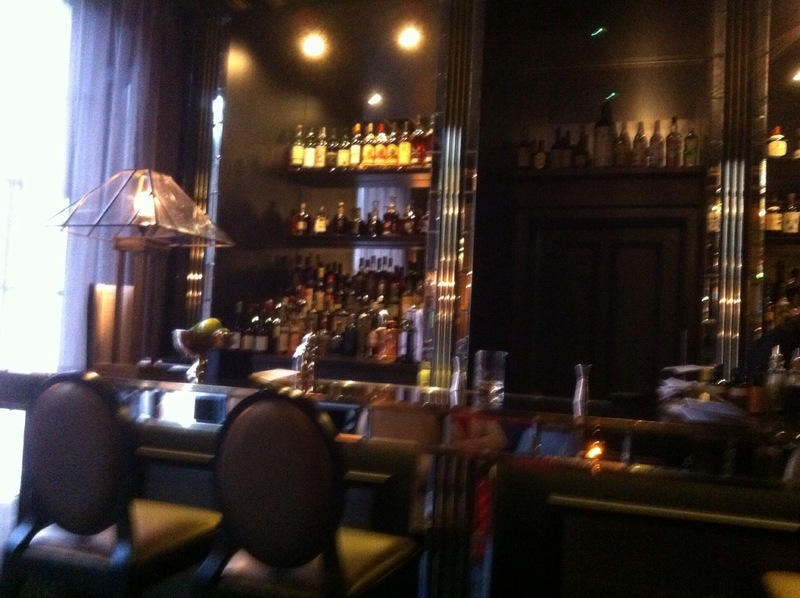 The Kenilworth has won numerous bar and cocktail awards and is the place to go and be seen. The Edgbaston certainly has a Mayfair like location. Well healed it certainly is! So why were my wife and I there I hear you say? Well we like cocktails and we had visited the Kenilworth a few weeks earlier, had a lovely indulgent stay and yes superb cocktails. So being foodies we thought we would combine it with a visit to The Blue Piano (see review to come) 5 minutes away. A great combination we think for a night out. On entering we were warmly greeted by name by the Maître d’ Kate Hands and the owner Stuart Insall and shown into a large cocktail lounge which can only be described as stunning and yes, glamorous. People were chattering and seemed very keen to devour the cocktails and taste this new memorable Edgbaston experience. There are two other smaller rooms, including a library space for chilling. The menu is huge and I mean huge! There were so many cocktails on the menu I thought that maybe we would need to stay over to sample them all. Yet, being simple folk and yes traditionalist (well a little!. Maybe next time) we chose two Martinis. We thought classy, stylish, perfect! They were superb, the gin certainly hit the spot and were well balanced. We felt that they were the best we’d had in Birmingham. Most probably perfect! As we still had time to go to dinner we ordered two more cocktails, but not from the menu. I ordered a Negroni (a Classic Italian aperitif made with Campari, gin again! And vermouth) my wife a dirty martini. 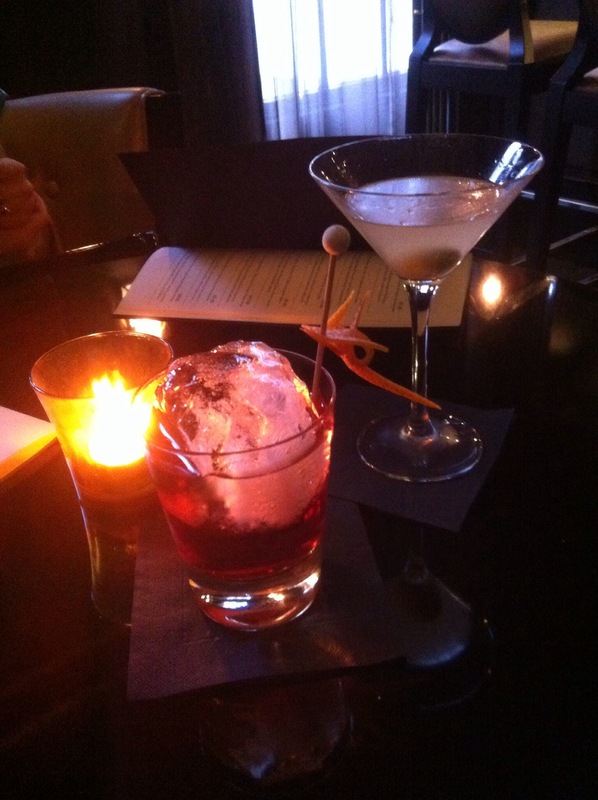 My negroni was superb, the best I’d had outside of Italy and my wife enjoyed her dirty martini. We were impressed that the bar made these for us as they were not on the menu and they were stunning! Throughout the service was spot on. Friendly, informative. The staff generally care and have a very welcoming approach that will surely be a success with its guests and customers. There are plans (from this weekend) to serve food. It will be small plates with a BBQ as well ( I will explore this another time). The Edgbaston bar is above all a classy place to go for a celebration or to just chill before dinner (Simpsons Restaurant is also nearby) or with friends. 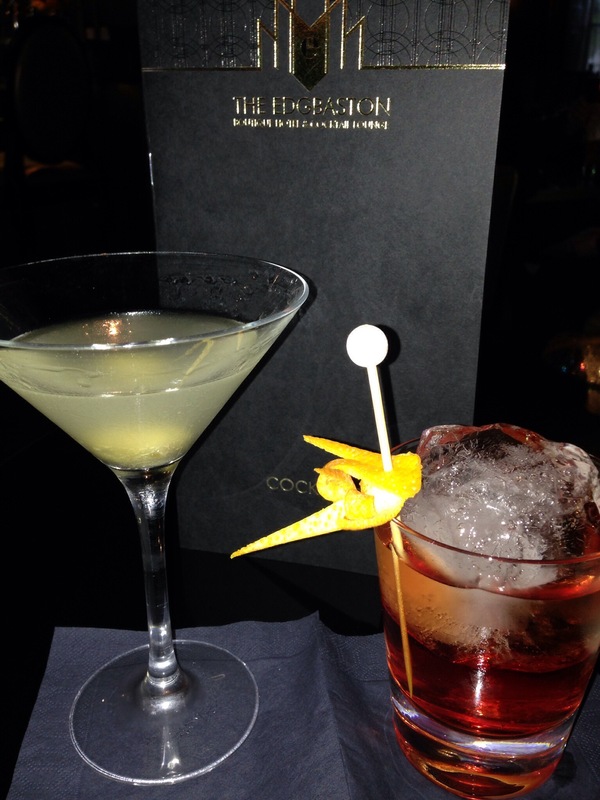 We will certainly return and have some more stunning cocktail creations. Yes, the Edgbaston is a fine creation in itself. Trendy, slick and cool.